We are pleased to inform you that as a result of the joint work of UN Women and IM-Defensoras, the first public Spanish language edition of the UN General Assembly Resolution on the Protection of Women Human Rights Defenders and Individual Women’s Rights Defenders is now available to you. It is important to note that this edition of the Resolution is enriched with a prologue by Alda Facio, Vice President of the Working Group on Discrimination Against Women in Law and in Practice; two introductory texts, one by Luisa Carvalho, UN Women Regional Director for the Americas and the Caribbean, and the other signed by the IM-Defensoras Driving Group, which explains the work of IM-Defensoras and the importance of this Resolution for women defenders in the region; as well as two articles by Macu Barcias (AWID) and Elenore Openshaw (ISHR). These two pieces shed light on the complex process of reaching an agreement on the Resolution and the challenges presented as of its approval in guaranteeing State compliance and its recognition by women defenders and human rights organizations as a useful instrument for their protection. 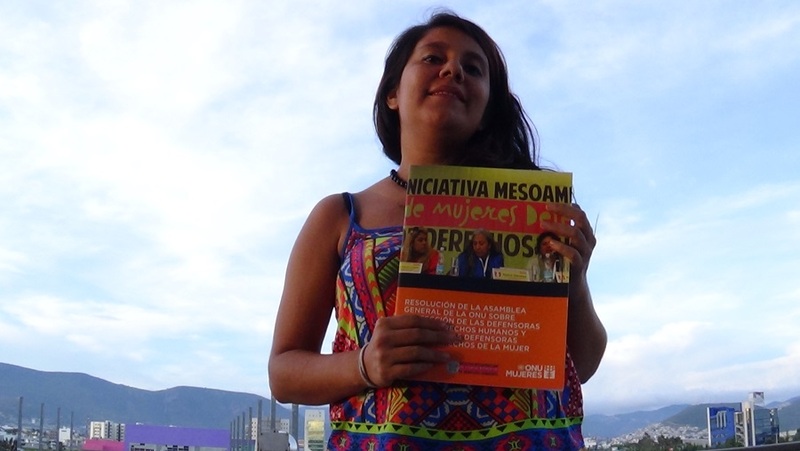 The aim of publishing the Resolution is to make known its content and context of creation, underscore the basis of the rights of women defenders, and discuss what it means to engage in the work of the defense and promotion of the human rights of others, including the risks, discrimination and specific kinds of violence that this entails. It is our hope that this edition will be an instrument that encourages the application of the principles of the Resolution, above all for public policy makers, but also for the civil society and the news media. It is an effort to promote protection mechanisms and acknowledge the important conribution made by women human rights defenders in the construction of peace, justice and equality. 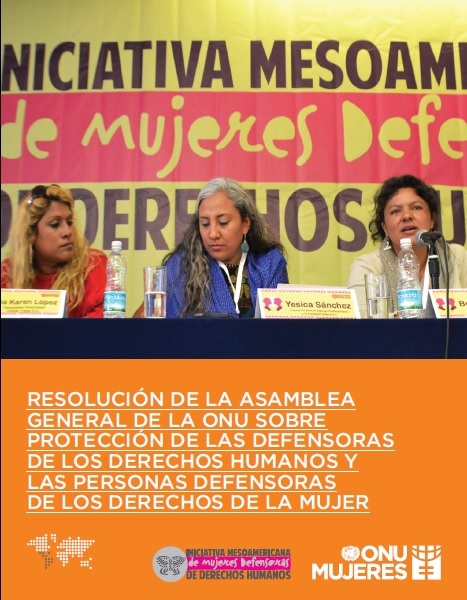 With this document, women defenders from different sectors of the society will better understand the implications of the Resolution and will be able to demand concrete State actions for their protection and the full implementation of the Resolution.